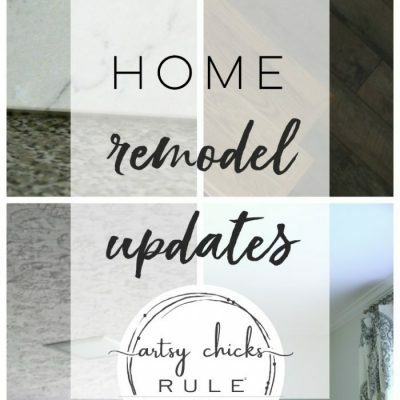 Renovating can be fun….and frustrating! It’s sometimes hard choosing coordinating finishes and such. But once you get rolling, things usually tend to fall into place nicely! And yes, it really does look like a war zone since we decided to stay put for a few more years and do several more renovations instead. 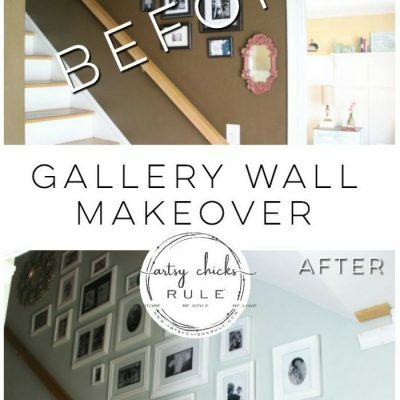 It’s hard living in your home while you paint walls, ceilings (especially ceilings! 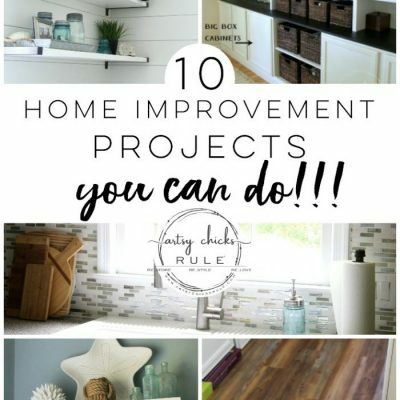 ), replace all the flooring, add trim, put in a new kitchen…and more. I actually bought some boxes over the weekend and started putting some of the decor away so we wouldn’t have as much “mess” out and about once we were ready to tackle the flooring. We may even rent a POD so we can move everything out and replace the flooring and kitchen cabinets without having to move everything back and forth to do so. If you’ve been following along on Instagram, you’ve already seen just about everything I’m getting ready to show (and tell) you. I’ve shared most of it as I’ve gone along over there in my “stories”. So be sure to follow along for the future reno as we get to it! Okay, so let’s start with paint. 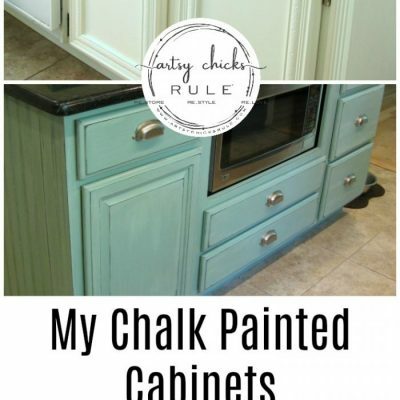 In this post, I talked about the paint I was trying to decide between. What a dilemma! I wanted to get far away from the yellow that it was but didn’t want too cool, or gray. Plus I really, really wanted to go lighter. Light and bright without any weird, off tone paint. Finding the perfect neutral that is not too yellow, not too gray, not too dark not so light that the white trim doesn’t pop, either. I had originally narrowed it down to SW Natural Choice and SW Pearly White. 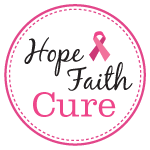 As you know, I ended up deciding to go with Natural Choice…..then I wavered, too dark. Once I had bought the paint and started painting a wall larger than the area I sampled, I realized I was not going to be happy with it. It was looking really WARM. Which is okay, but I was so tired of the yellow that I didn’t want any part of warm at this point. Both are really great colors however, they just ended up not being right for me. So I went looking (and looking!) 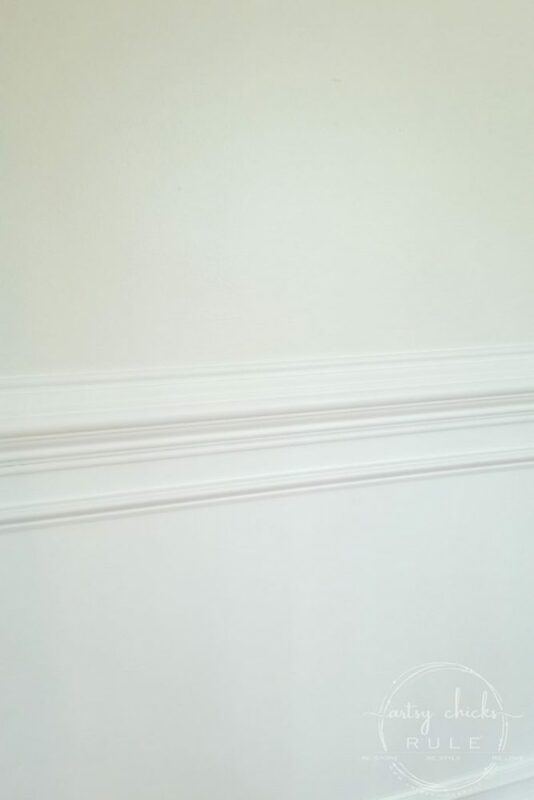 and found Benjamin Moore’s “Pure White”. 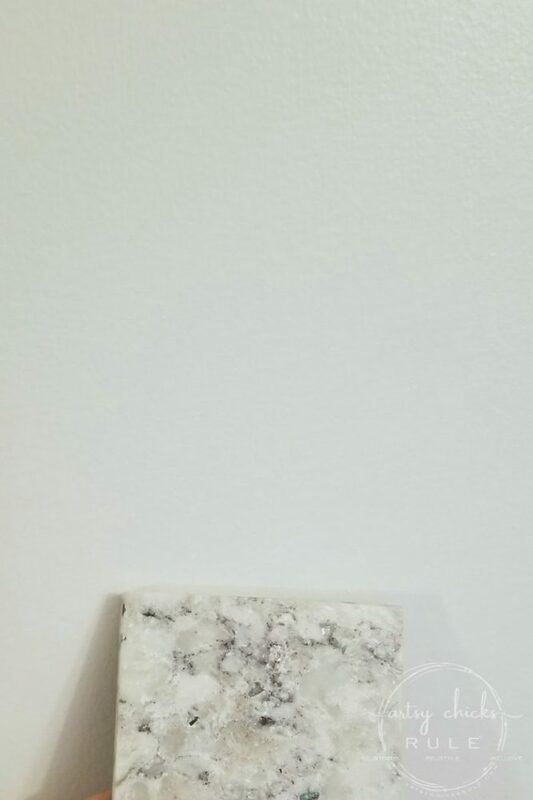 Since I love SW’s Harmony paint, I had them match it and make a sample for me. And it was a win!!! I knew immediately this was THE ONE. 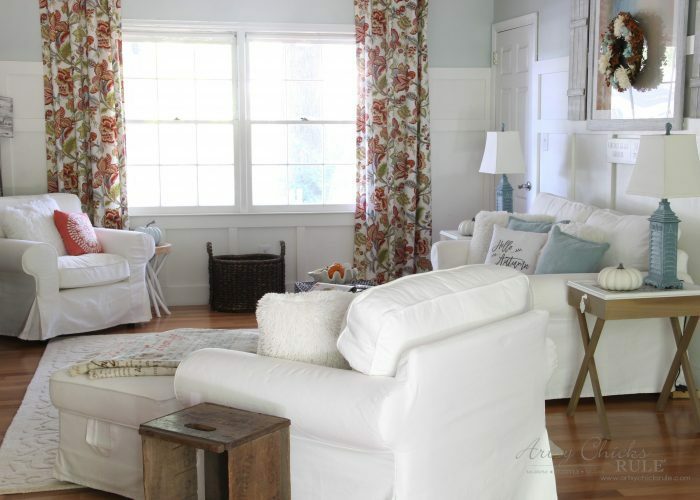 Light and bright and airy…..leaving just enough color for some nice contrast with the SW Extra White trim. Don’t let the name fool you, it is not PURE WHITE at all. It’s really hard to tell in the photos but its got a slight hint of gray but it’s a warm gray tone, not too cool….which is perfect! I know it’s really hard to tell in these photos, but there is a nice hint of color on the walls. 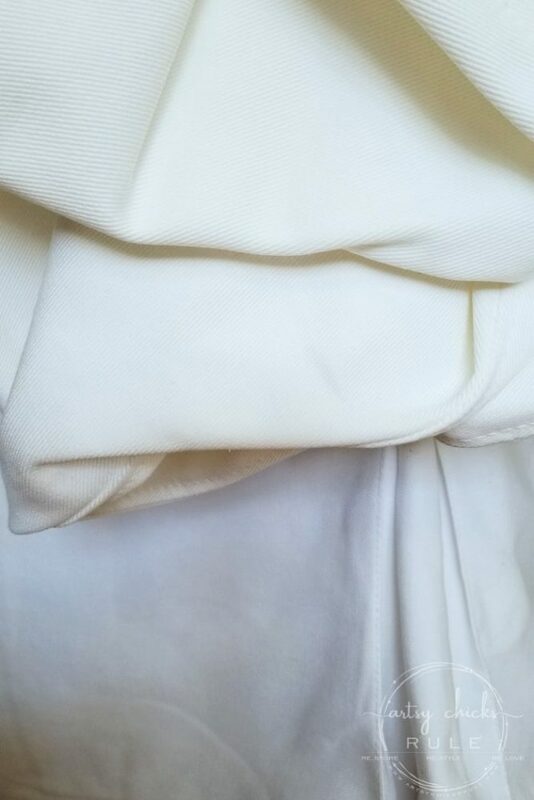 I feel like it’s the perfect white if you are trying to stay away from the yellow, creamy, off white shades. By the way, I love yellow and really enjoyed it on my walls for years. But you know how it goes, sometimes you just get tired of it after awhile. I’m going to be painting the study and kitchen the same color, Pure White. Which moves us on into that room. 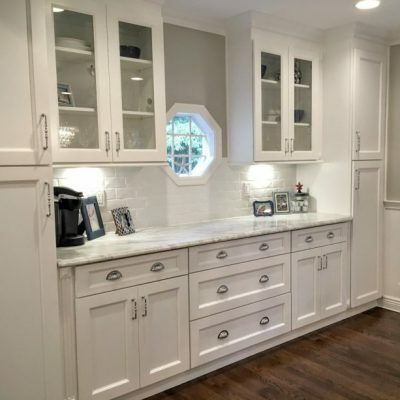 I mentioned in the other post how we are planning to install white, shaker style cabinets. 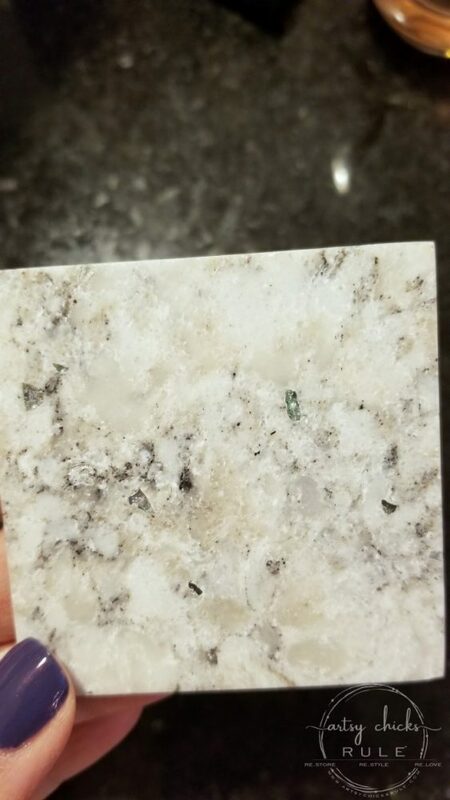 I’ve seen several large slabs at various places so I feel I’ve gotten a good representation of what I’d be getting. So I moved on from that one. 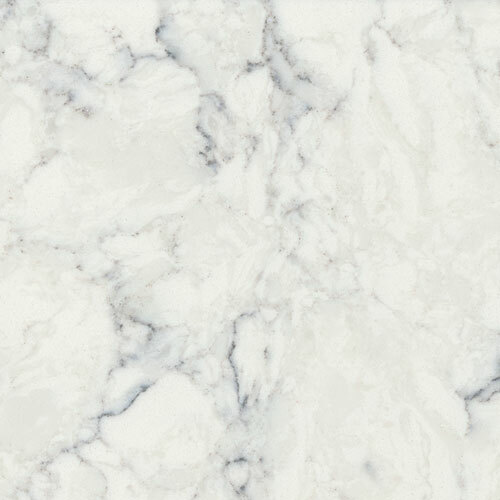 I reconsidered a marble look in keeping things light and bright in the kitchen and found this…. It’s beautiful. If you do a Google search, you will see many examples in kitchens. Viatera Aria (source) Also really nice, but with a bit more color. 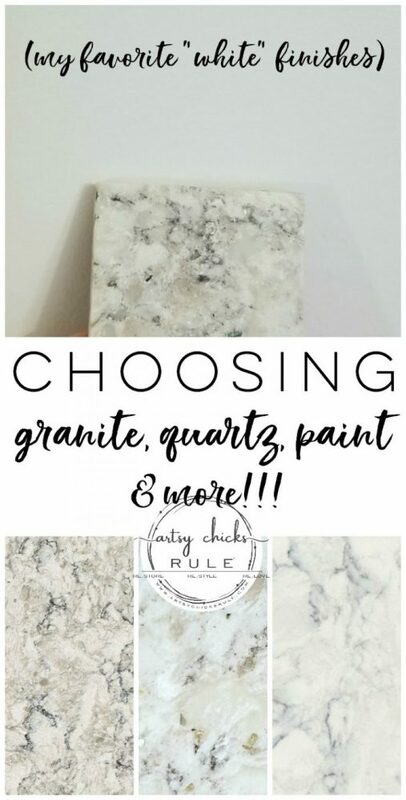 Its got bright white splotches, with black/dark gray veining, a creamy warm gray color and those gorgeous pale greenish crystal stones that just twinkle beautifully! I *think* it might be the winner. We have only seen these small pieces so far but plan to go the yard to see the big slab this week. But in the mean time, look how nicely this sample goes with my new paint color. Those creamy warm grays blend perfectly with the new warm gray wall. Love it!! 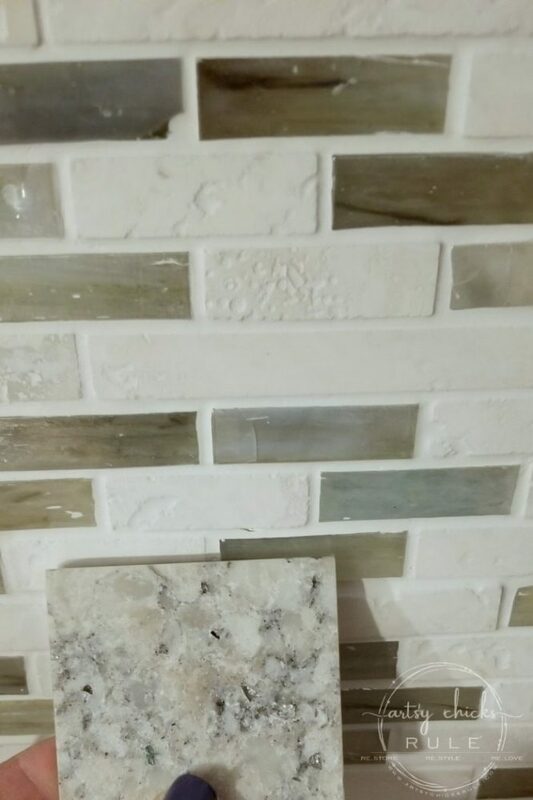 And I think it will go nicely with the coastal tile backsplash, too. I’m undecided on what color I’ll repaint the kitchen island just yet, so stay tuned. I’ve got a few samples of flooring coming in on Weds. I can’t wait to see them in person and share them with you! I’ll be updating this post with photos once I get them. Now that I have my wall color, cabinets and counter top color (I think ;) ) it will be nice to see which color flooring goes best. 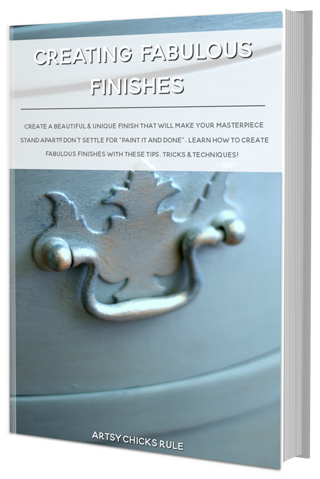 Choosing coordinating finishes can be hard but once you get going and choose one or two things, it often just flows. 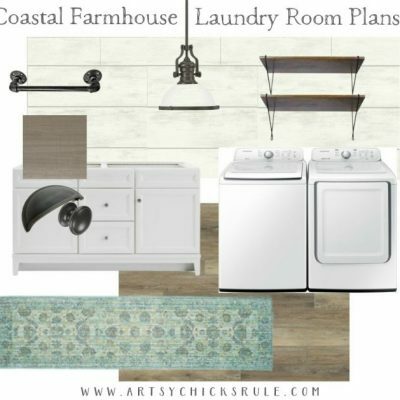 I will say that it usually goes something like this….find counter top you love, then choose a coordinating floor, then paint, etc. I sort of did it the opposite way, only because I hadn’t planned to replace cabinets/flooring, etc, when I started down the paint path. Besides changing all the finishes downstairs, we are also doing a small change in decor here and there. 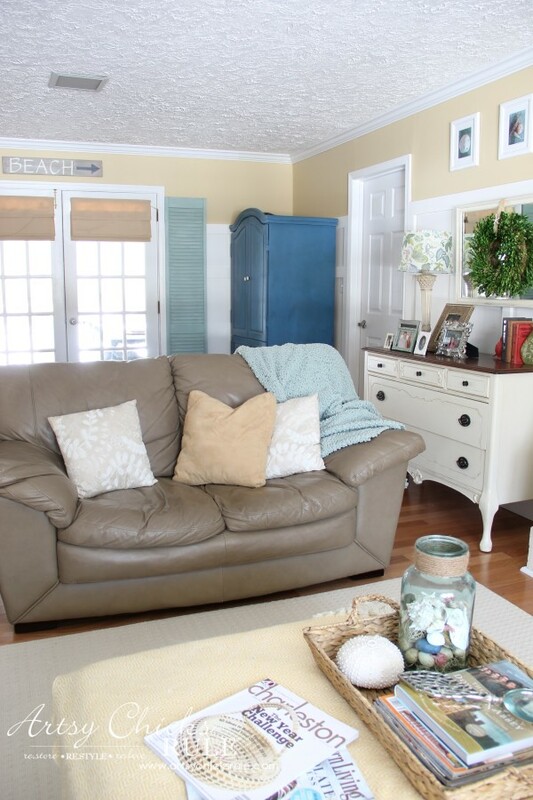 One of the changes was adding a love seat to our family room. You might remember we have IKEA Ektorp furniture in there currently….and love it! 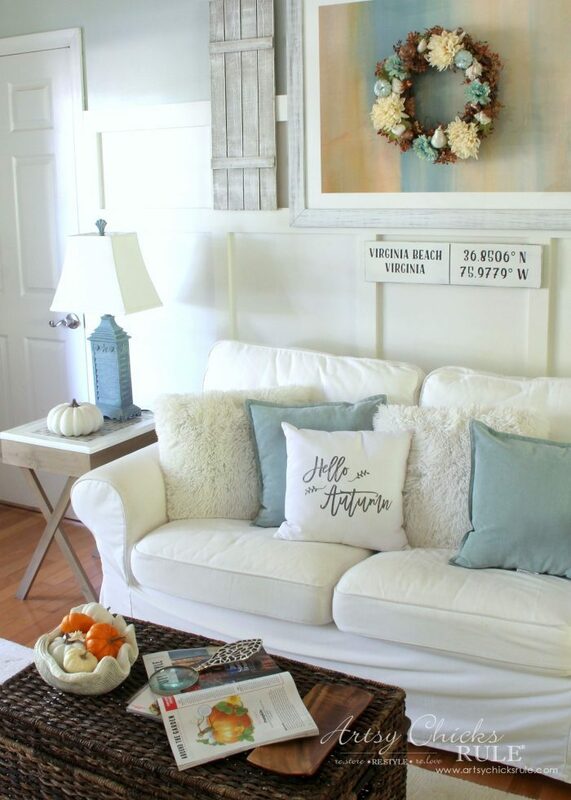 I love how crisp and white this furniture is and the ease in which to keep it that way. Just pull them off and wash! They come nicely clean and look fabulous again. See where the chair is at the front of the photo? We decided to place a second love seat there instead. We originally had leather furniture, a couch on the wall and a love seat here anyway. When we sold that furniture, I decided to keep it a little more open and opted for the chair there instead. But that didn’t really leave enough space for seating especially since the other “couch” on the wall is a love seat as well. Their Vittyard White….well, it’s no longer “white”….as you can see there. I called and spoke with someone as IKEA and unfortunately this is the color now. Which is really a bummer for anyone that bought the Vittyard White and thought they could buy extra covers that would match any of their current furniture. But I don’t love the new color, so I won’t be doing that. I love the crisp, bright white it was originally and am so sad they changed it. So I will have to purchase covers to fit elsewhere. Not too thrilled but what can you do? 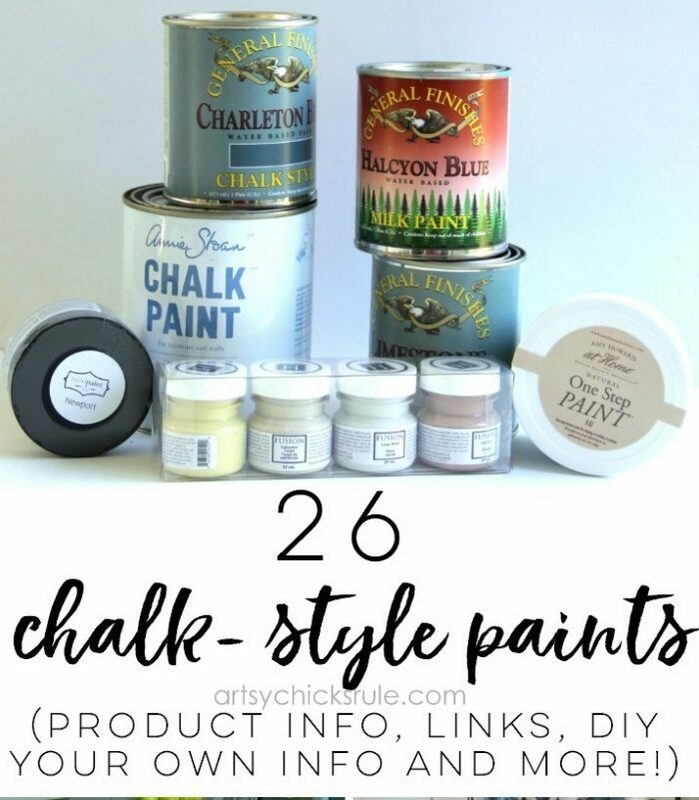 I’ll be back on Thursday talking all about chalk style paints…26 of them! UPDATE: You can see it now >>> here!! Have a wonderful week and I’ll see you then! I might go with Sea Glass! I saw that and loved it, but Atlanta is land locked! No center island in new house. I chose SW Alabaster for the cabinets. I was going for a bit creamy not totally white! I have beige porcelain floor tile!! Good luck! The struggle is real!!! 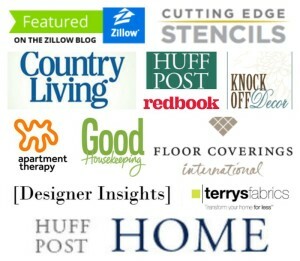 I love the countertops you chose but think the backsplash is too busy. 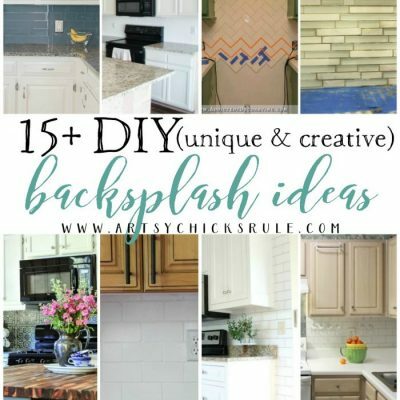 I would go for a solid color backsplash — maybe black glass or the shiny subway tile?? We all have opinions, that’s what makes the world go around. 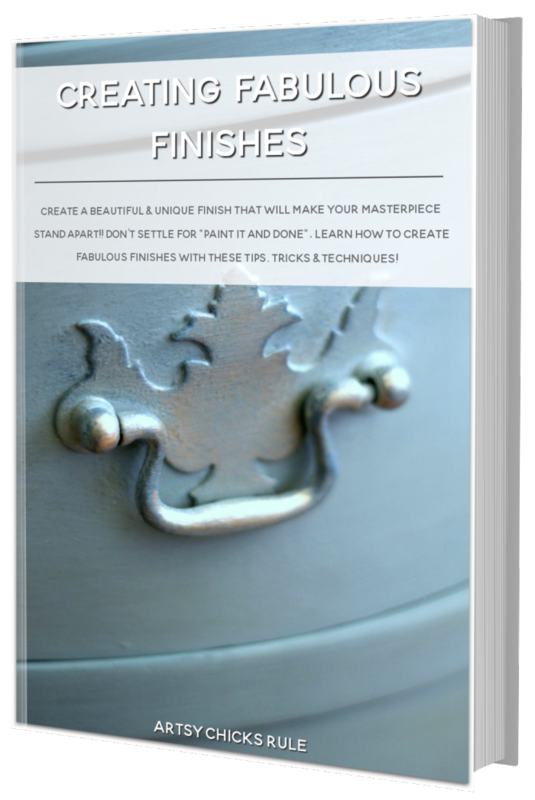 LOVE that last counter-top ‘color’… looks perfect all the way around! So sorry about the IKEA issue! 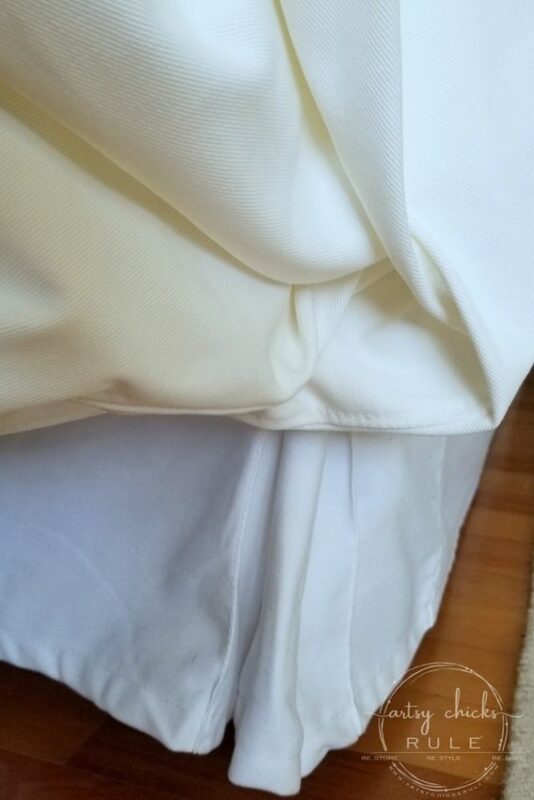 I’m looking at the cover on my chair (purchased a little over a year ago), and you’re right… it has a bit of a cream tint to it. =/ Looks okay with my tan love seat, but I understand your frustration! Let us know what you end up doing! 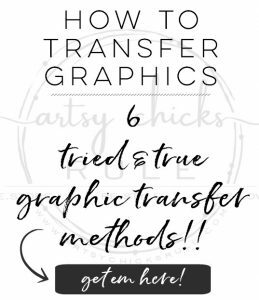 I rarely…ever keep a blog post but this one is a keeper. 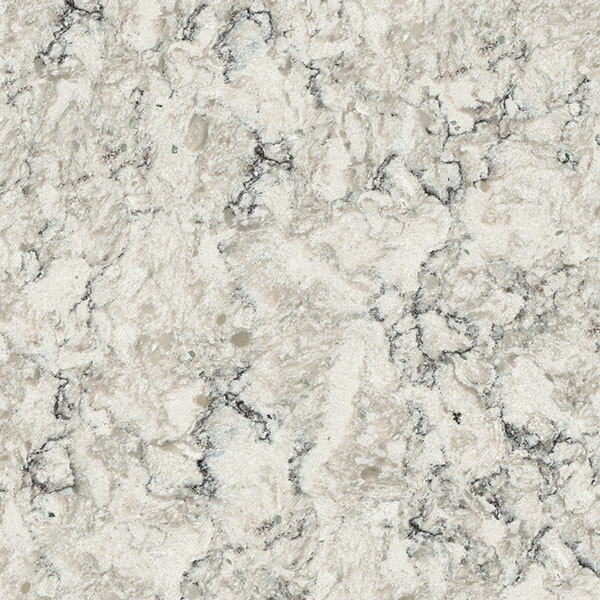 I love your countertop material and I never lean towards granite, quartz or marble. I was thinking wood before seeing this. Love it all. Like the yellow and like the new color. You make me a little excited to get going on everything now. I’m also painting the den which is currently blue. It’s stunning but too much. I’m not up to redoing our floor either!! lol But I suppose we are! ;) It’s a bit of a daunting task when you live in the home, for sure. I have found another quartz that I’m really loving. There are SO many options these days! 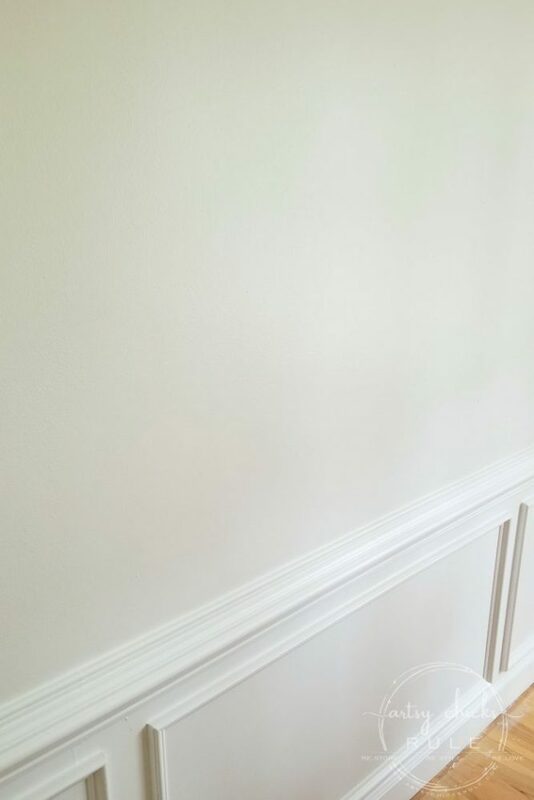 I recently updated my dining room with shiplap. 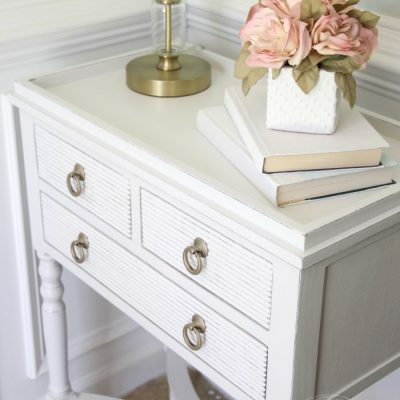 The color I used was Behr’s Ultra Pure White, and I love it! Most people shy away from stark colors, but it really worked. While perusing Pinterest, I discovered I’m not alone. 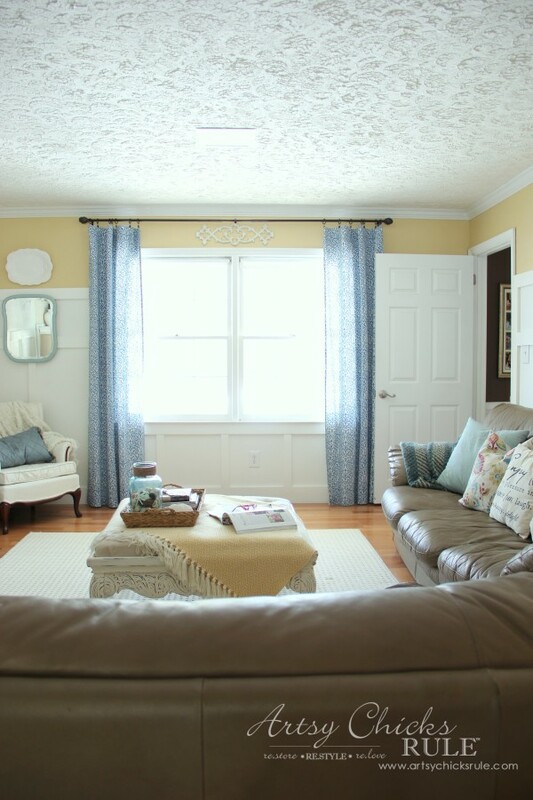 Leanne Ford from HGTV’s Restored by the Ford’s used it all over her restored farmhouse. Score! I am shocked about Ikea! I was going to buy an Ektorp sofa, but not if they changed it to off-white. Yuk! Thanks for the heads-up. 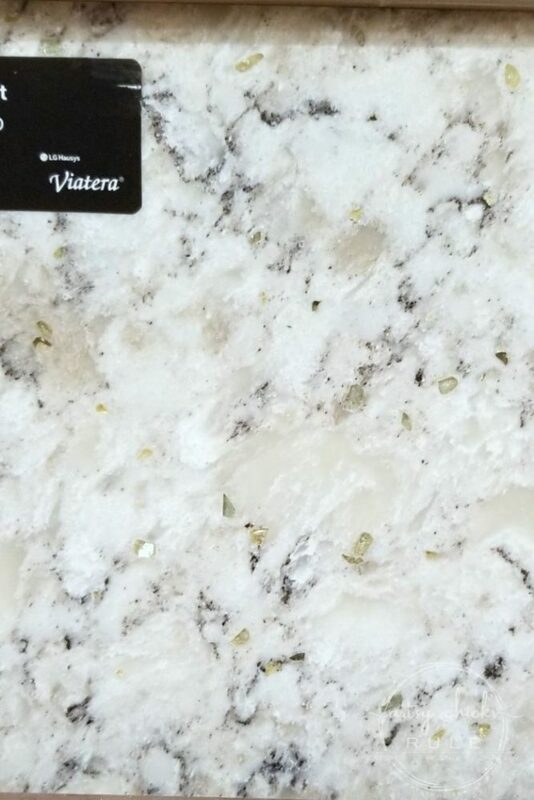 I am in LOVE with this quartz so I’m hoping it won’t be too busy. You may be right though. :/ I wish I’d not redone that backsplash so recently or I’d have better thought all this out. If I’d known we were gonna stay a couple more years I wouldn’t have done that. I think we are going to move forward with it and just see how it looks. And then redo if necessary. That Behr color is a great white! And I know! Not too happy with the new color however, when not directly side by side (like in the photo), it’s not as noticeable. Certain times of day and lighting, I can tell it’s not bright white like the rest. But sometimes I can’t tell as much. Either way, I’m still planning to find a replacement that is white white. 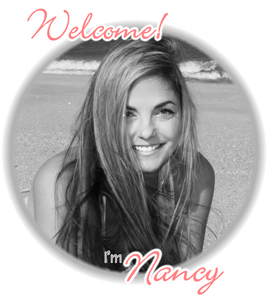 Nancy, thanks for all your inspiration! I love your choices, and I completely understand about the yellow. I have a red brick, 900 sq ft tiny house with dull mustard colored siding. Gross and I’m so OVER it! The house is older than me and in need of lots of updates… lol… another project. I have lots of ideas and keep hoping that I might win the lottery one of these days, haha! 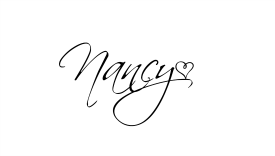 Anyway, you give me so much inspiration, Nancy and I want to thank you for sharing your ideas and projects. You’re one in a million girlie!